The KHD10TR3 is a member of the KHD10T Series of hydrogen gas monitors, it is identical in functionality to the KHD10TL1, except that it uses a remotely installed MEMS hydrogen gas sensor, and a 12 VDC universal input AC adapter for power supply. The KHD10TR3 is a complete standalone fixed hydrogen gas detector and monitoring system, that is powered by a 12 VDC output. universal AC input adapter (100 to 240 VAC, 50/60 Hz). 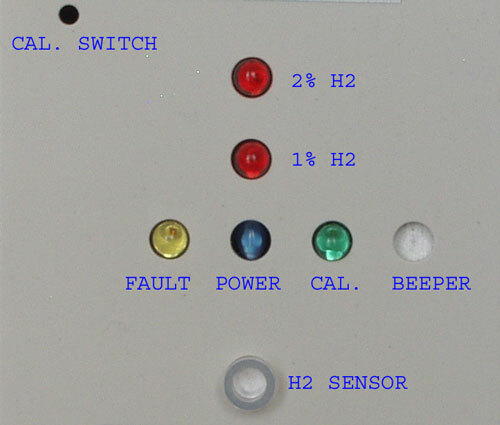 The hydrogen gas sensor is remotely installed up to 7.6 m (25 feet) away from the KHD10TR3 hydrogen gas detector. KHS151 External Hydrogen Gas Sensor. 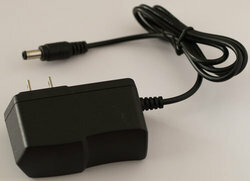 KAC10 Universal AC Adapter - (12 VDC). KAC15 Universal AC Adapter - (12 VDC). 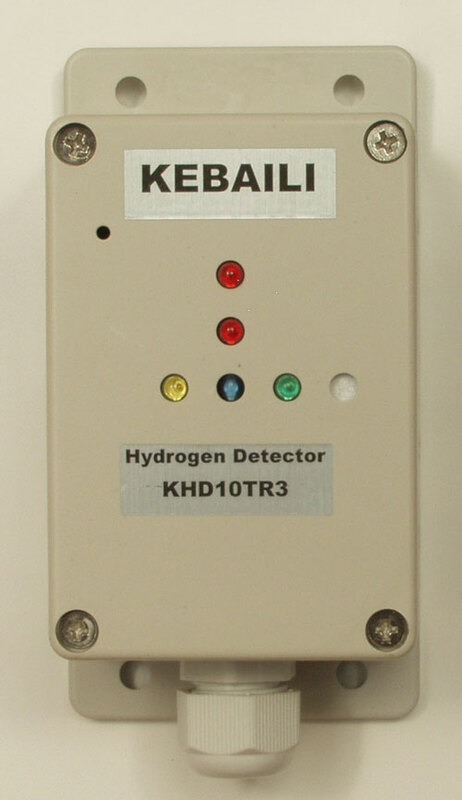 KHD10TR3 - Fixed Hydrogen Gas Detector. 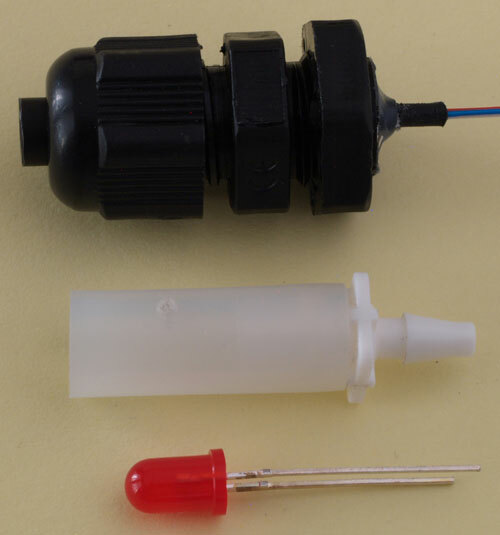 KHS151 - External Hydrogen Gas Sensor. KCC10 - Calibration Cup Adapter. KAC10 - Universal AC Adapter - (12 VDC).